With our expert dishwasher repair Greenburgh services, your appliance will run for years. Who doesn’t want a fully operational dishwasher in the kitchen? Problems are a nuisance and could easily lead to leaks. When it comes to such urgent repair needs, count on the fast assistance from our techs at Appliance Repair Greenburgh NY. We always try to help fast and also provide same day service. 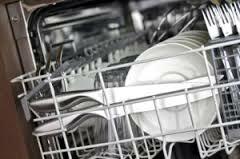 You can also ask our help if you want to regularly maintain or install a new dishwasher. Every job done by our dishwasher technician in Greenburgh, New York, is performed with accuracy. You can trust our team of professionals to service your dishwasher no matter what you need. We have been repairing and installing dishwashers for many years. So you can rest easy that our pros bring years of experience to the job. Whichever service you need, our company provides. Our dishwasher service experts are always equipped fully and pay attention to every little detail – whether it has to do with the appliance’s problems or its features. Servicing dishwashers to prevent trouble is the smart thing to do. When you call our team for dishwasher maintenance annually, the appliance will not give you trouble in between and last longer. We maintain all dishwashers and guarantee thorough inspection and expert service. We stand by to take care of your dishwasher repair A dishwasher might not start, complete the cycle, wash well, or drain. Regardless of what you experience, call us to troubleshoot. We fix dishwashers on the spot. Our techs carry the necessary spares with them to replace any worn part. With proper dishwasher installation, the kitchen appliance functions to its maximum capacity. When you invest money in a new appliance, you don’t want problems from day one. Ask us to help you. Our techs are specialists in the installation of home dishwashers and will be glad to help you out. Come to us for any dishwasher repair in Greenburgh! 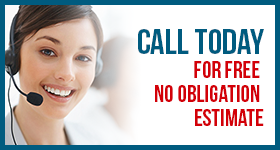 Call us if you need service today or have questions.